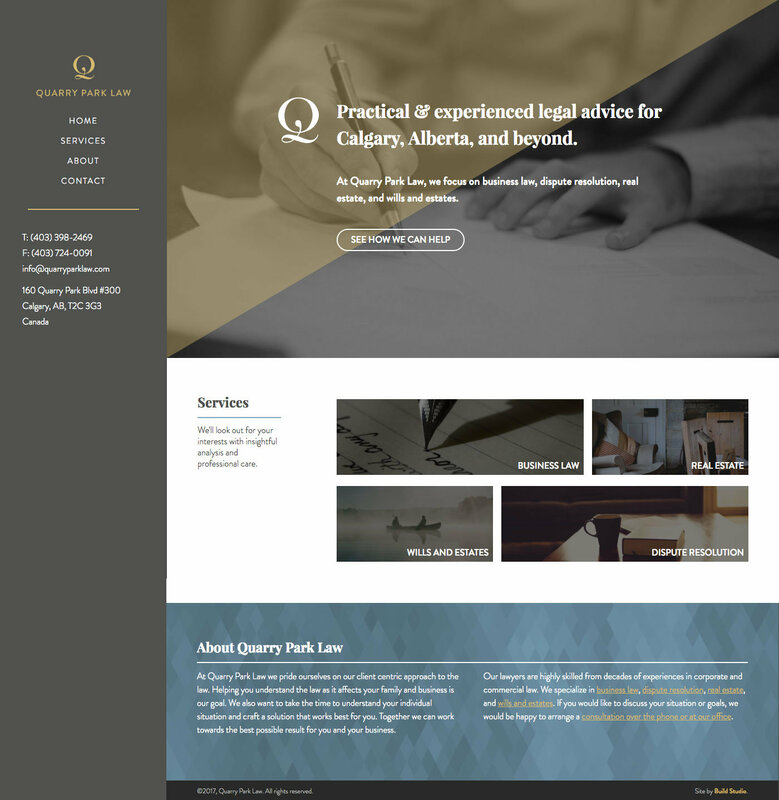 Quarry Park Law is a new law firm located in southeast Calgary. Their lawyers are highly skilled from decades of experiences in corporate and commercial law. Their new business needed a logo, website and marketing collateral. We helped them to create a brand that is modern but elegant. They didn’t want to present themselves as a stuffy law firm and with our help were able to add a modern touch to a traditional industry. Their website is built on WordPress and, because of the responsive design, functions and looks great on all devices.